Welcome to Red Spoon, Sydney brings a little piece of Thailand to Top Ryde City, with a stylish interior, welcoming atmosphere and warm thai hospitality. The carefully chosen menu has been devised by Chef Anulak Chotchaipitakkul, and incorporates flavours from the four corners of thailand. Our chefs want to take you on a gastronomical journey from spicy dishes of the North East to the sophisticated tastes of the central plains. His vibrant menu is carefully balanced with wines and cocktails. 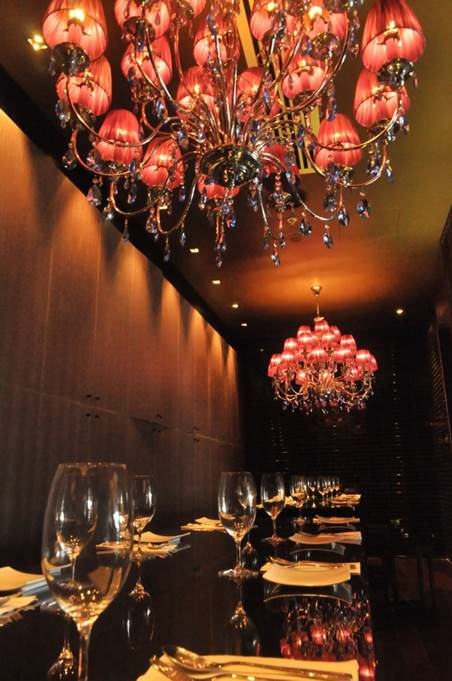 Red spoon also features a private dining room and outdoor area that can be reserved for large parties. Red Spoon actively strives to serve Thai food at its very best taking full advantage of the fresh and seasonal produce available. Adopting the slow food philosophy . Red Spoon also aims to promote the biodiversity of both wild and cultivated produce thus a staggering array of ingredients' will be picked, cooked and seasoned before being presented to you and thus expanding the use of local produce. "The true genius of thai cuisine is its ability to incorporate the unfamiliar, whether it be ingredient or technique." Chef Anulak Chotchaipitakkul has always demonstrate immense interest and passion towards all varieties of cuisine in his motherland, especially its origin of Thai food. 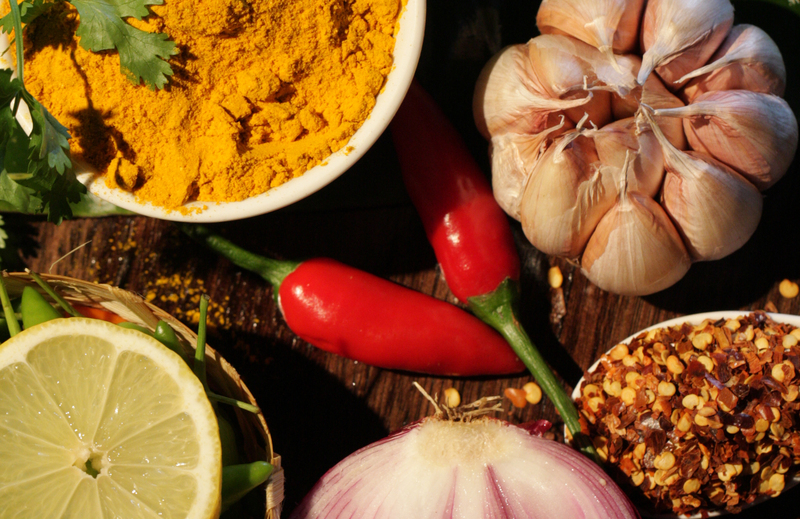 Since he was at the age of nine years old, he has first learnt how to make curry paste from his grandfather by pounding chilli with a pestle and mortar, which is where he has possesses such compelling enthusiasms and burning fondness in cooking. Once he reached the age of 17, he began his apprenticeship absorbing Thai fine dining cuisine. His career in culinary industry spans over 9 years during the time he spent working his way up as a cook to being a chef status in Sydney, he oversees the complete process from kitchen operation to menu selection. As his passion in culinary industry grew vastly, in year 2008 he has successfully launched Red Spoon Thai Restaurant in Gladesville, Sydney and most recently, Red Spoon Thai Restaurant and Bar in Top Ryde City. Anulak is also looking forward to launch a few Thai restaurants within Sydney. constructing different dishes to ensure a complete and well balanced meal is created. Red Spoon Thai's menu is composed of five essential dishes; Thai salad (yum), chilli relish (kreung jim), a stir-fried dish (jan phat), curry (keng) and also an individually served soups (nahm keng). At Red Spoon Thai, we have two menus on offer; "Red Spoon Thai A la Carte" and Banquet". Red Spoon Thai A la Carte is simply an a la carte menu where experienced food explorers pick their favourite dishes and balance the whole meal themselves. 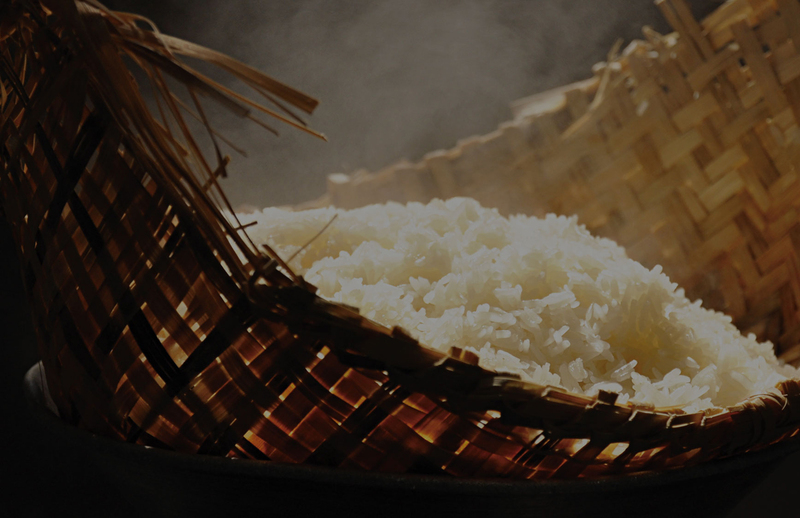 Rice is the basis of Thai food culture and Thais eat it with every meal. It is our pleasure to present to you a wide range of wines across Australia and a few sources from international that span from the modest and boutique, to the indulgent and iconic. We take our drinks seriously as all the wines and cocktails are created to match with our food. Life is a journey, full of picture, places, stories and good tasting recipes. Tucked away to the right as you enter Red Spoon is our very discreet and exclusive Private Dining Room perfectly suited for an intimate dining experience for up to 20 guests. We do require our larger groups to select wines prior to arrival. We also offer a full bar of spirits and bottled beers, along with a fantastic cocktail list. Our functions manager will be happy to liaise with you regarding your beverage selection. Red Spoon Thai, Top Ryde City is a full licensed restaurant thus only BYO WINE are permitted. Also with a group more than 10 people, we do not guarantee any seating requests and seating maybe located on more than 1 table. For same day or immediate reservations (required within 24hours) please telephone the restaurant directly on +612 9808 3998. We accept payment using all major credit cards and Eftpos. With payment using american express, there will be 3%incurred. Tucker Street, Pope Street and Devlin Street. Conditions of entry are displayed throughout the car park. 3 HOURS FREE parking apply from the time of entry. Free Parking with entry after 6pm. Car park charges will apply beyond the validation period.